I was in a motorcycle accident but don’t have insurance, now what? I was in a motorcycle accident, but I don’t have insurance. What are my rights? I’ve written in depth about the extreme dangers of driving in Michigan without auto No Fault insurance. This goes for drivers of cars and trucks. But the law in Michigan for motorcyclists is entirely different than that for automobiles. That’s because Michigan is a No Fault law state, and motorcycles are not considered “motor vehicles” under the No Fault Act. Therefore, the penalties for driving uninsured with a motorcycle are very different — albeit equally as serious. First, as a quick legal primer, the only insurance required for a motorcyclist is basic liability coverage for a third-party personal injury lawsuit. The coverage must be at least the minimum bodily injury liability. In my blog post, “What motorcycle insurance is required now that Michigan passed the helmet law repeal,” I specified the amounts as follows: If your motorcycle is in Michigan more than 30 days or if you consider yourself a Michigan resident, you need to have at least $20,000 in bodily injury coverage and $10,000 in Property Damage coverage. It’s also best to call an insurance agency or your current insurance company to make sure that you are complying with Michigan’s coverage requirements for motorcycles. 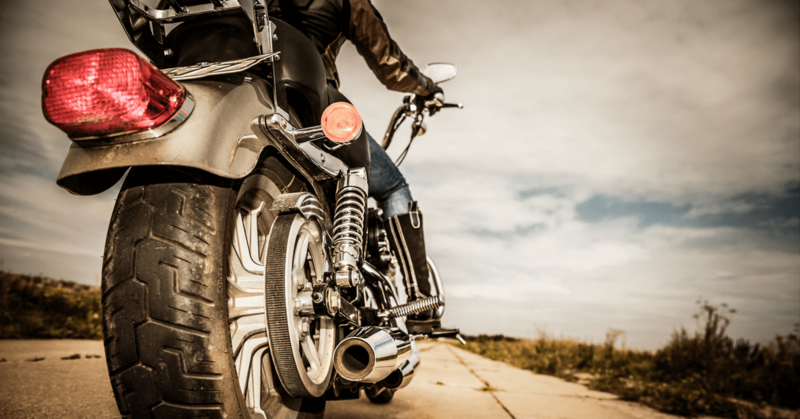 As an accident attorney who helps many people hurt in motorcycle accidents, I’ve seen quite a few mistakes being made by insurance agents with motorcycle owners. Unfortunately in these cases this is usually after the crash and it is usually too late to correct. You will be disqualified from and, thus, will not be able to collect Michigan No Fault benefits. This means you will be personally liable to pay for all of your accident-related medical bills and you will be barred from receiving wage loss while you’re off of work and healing from your injuries. Importantly, this holds true — even if the at-fault driver is 100% at-fault and you are 100% innocent. When people come to see me they have a hard time understanding this. Yes, it is unfair and unjust but it is also our law. The legal consequences for not complying with this law requiring motorcycle insurance in Michigan are very harsh. While our attorneys mentioned the required insurance for Michigan motorcyclists above, here’s more optional coverage we recommend, so you can avoid the potential problems of driving a motorcycle uninsured. Optional Personal Injury Protection (PIP) for motorcyclists: A motorcycle owner can still purchase additional optional contractual insurances, such as optional motorcycle PIP coverage, which includes medical benefits and wage loss. There are few motorcycle owners who purchase this coverage in Michigan because it is expensive. That said, as an attorney I’ve seen that the injuries from motorcycle crashes are usually very serious – and often include neck injuries, back injuries, and traumatic brain injury. The costs to treat such injuries can be staggering, and for this reason I always recommend that motorcycle owners do purchase PIP. Keep in mind, this is not the same coverage as provided by auto No Fault insurance. Uninsured and Underinsured Coverage: A motorcycle owner can also purchase other insurance, such as uninsured and underinsured motorist coverage. Uninsured motorist coverage (UM) and underinsured motorist coverage (UIM) provide coverage when someone is injured in a crash with another driver who is uninsured or does not have adequate insurance. For motorcyclists, this would apply to an accident between a motorcycle and a car or truck. Without a UM or UIM policy, a driver or passengers injured by an uninsured or underinsured motorist will have no source of legal recovery, other than filing a lawsuit against the at-fault driver for his personal assets. Our motorcycle accident attorneys strongly recommend you contact your insurance agent to purchase these additional coverages if you’re an owner or registrant of a motorcycle in Michigan.